One of my favorite things about being out of the city is enjoying all the woodland creatures that inhabit the area around our little house. On any given Saturday morning, you can sit by my living room window (while knitting, of course) and watch all sorts of squirrels running back and forth between our big tree and our neighbors’ trees. Those squirrels get up to all sorts of mischief, and they’ve even worn a little squirrel path through the grass in our yard. But as cute as those squirrels are, they’ve got nothing on the bunnies. Oh, the bunnies! I can’t tell you how cute these little brown bunnies are. I see one or two almost every night as I let Henry out before bed. They usually scamper about when I open the door, but that just means I get to see their fluffy white tails as they hop away into the darkness. 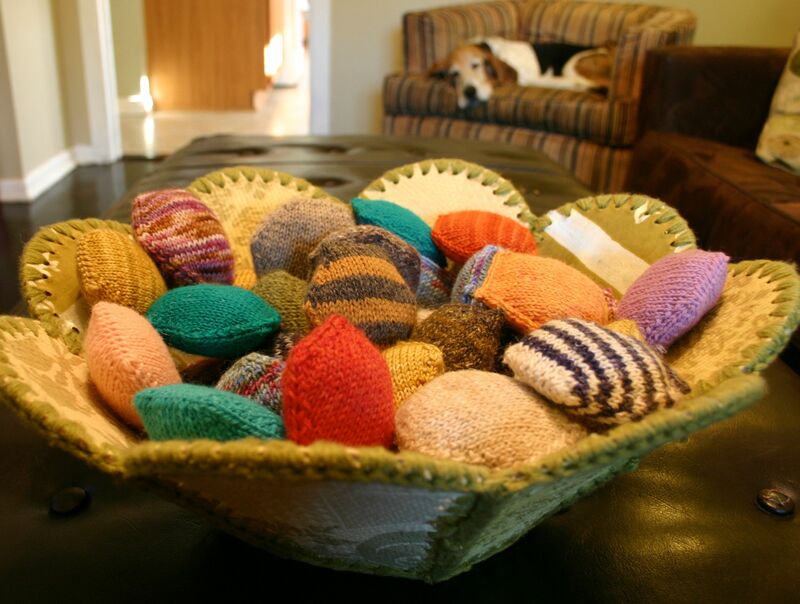 Speaking of fluffy puffy cuteness, I’ve been quietly working on lots of little hexipuffs for my Beekeeper’s Quilt, and they’re multiplying like…. well, you know. 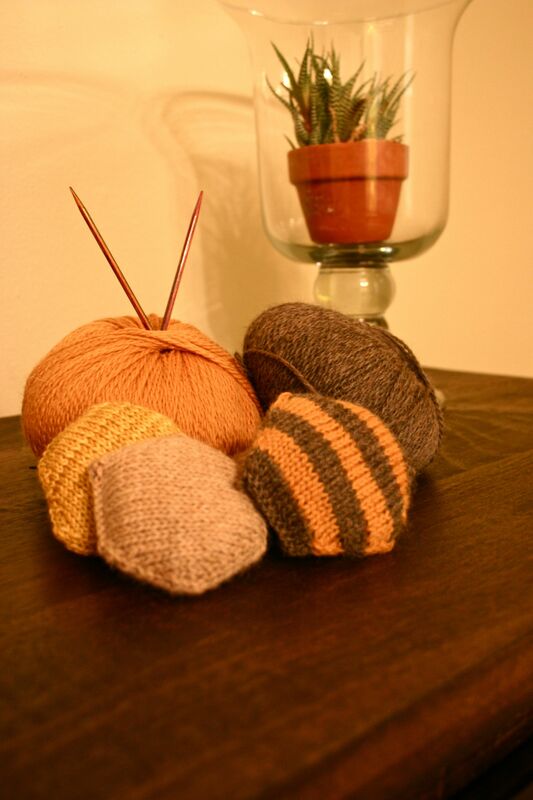 Oh, I love the hexipuffs and I admire your dedication! I just know that’s not my kind of project (too many small bits) even though it’s just gorgeous. I love working at my desk and looking out the window at the frisky squirrels. Such a hoot! HENRY!!! Rockin’ the new house.